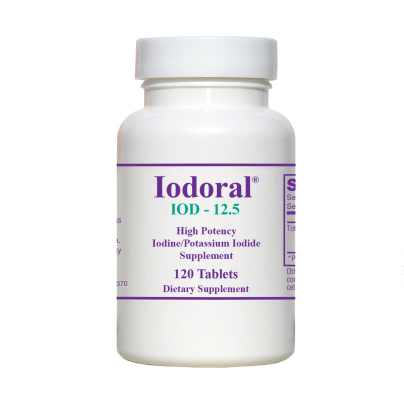 It only takes one capsule of Iodoral to get a total daily intake of elemental iodine that is similar to the average intake of people living in mainland Japan. The diet in Japan is much richer in iodine than in many other countries‚ due to the larger quantities of sea vegetables that are consumed on a regular basis. This same population may also have better breast health when compared with the rest of the world. Iodine is one of the essential elements that our body needs to function. Its main role is to support thyroid function‚ but other organs also need iodine in order to function optimally. The minimum amount of iodine needed to support breast health in women is very small: as low as 0.1 milligrams per kilogram of body weight each day. In the past‚ one slice of bread contained about 0.15 milligrams of iodine‚ a full daily dose‚ but in recent years‚ bromine has largely replaced the iodine (while also reducing the effectiveness of the remaining iodine)‚ increasing the need for supplementation. Other Ingredients: Micosolle‚ a silica-based excipient containing a non-ionic surfactant‚ microcrystalline cellulose‚ vegetable stearins and pharmaceutical glaze.